Article from the Washington Free Beacon by Elizabeth Harrington. Federal agencies spent millions on cars, scooters, fidget spinners, and shuffleboards in an attempt to exhaust their budgets before they run out at the end of the fiscal year. 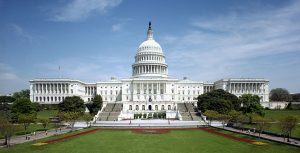 An analysis of federal spending by OpenTheBooks.com and shared with the Washington Free Beacon reveals 67 agencies and departments spend nearly $50 billion closing out their fiscal year 2017 budgets. The “spending frenzy” totaled nearly $50 billion in seven days. here and abroad and that even include local government. That and automatic raises lowers productivity and efficiency. Agree. Change the policy. As a retired senior military officer, I always found it a counterproductive exercise to spend just to spend out my budget so it would not decrease the next FY! This policy created no incentive to use funds efficiently. The issue was compounded by the long approval/logistics lead time that often didn’t allow acquisition to be completed during the FY in which the savings were incurred. Cut their budgets and oversee what they want to spend the money on. If it is for these frivolous trinkets just to spend what is left in their budget means they need to have their budgets cut by that amount that is left It needs to be done for the sake of the taxpayers. You want to save money in the government, this is where you have to do it. They waste money like this that is the taxpayer’s money on BS items. NO MORE!